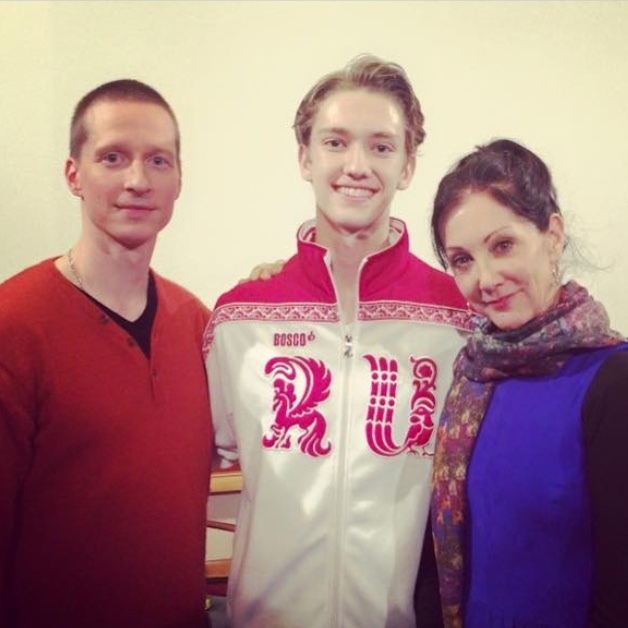 Seventeen-year-old Julian Mackay is one of the six winners of this year’s Prix de Lausanne. He is part of the extraordinary Khan-MacKay family which boasts four ballet dancers; something this blog has covered before. Julian however is flying high during his last year at the Bolshoi Academy before his graduation in June, having already won medals last summer at the Sochi and Istan­bul, he was awarded the Kelvin Coe Scholarship from the En Avant Foundation, and around Christmas was dancing Siegfried for the Russian State Ballet on tour. However winning at Lausanne is special. He took the Giselle variation as his classical piece and Richard Wherlock’s Solo for Diego to show off his contemporary flair. Leading up to the Prix de Lausanne I prepared my Giselle variation with Nicolai Tikhomirov. Along with the technical aspects, he helped me to understand why Albrecht is in anguish and to send all of my gestures, either to Giselle or Myrtha. I chose this variation because I love the role, and would like to dance the full-length ballet. I prepared my contemporary solo with Alisher Hazanov. He showed me the right way to put humour in Solo for Diego. I had to work very late at night as was rehearsing many pieces for the Bolshoi Academy as I had spent my Christmas vacation dancing Siegfried on tour in Germany and Switzerland. I am very grateful to Vyacheslav Gordeev, former Bolshoi Principal and director of the Russian State Ballet, for the opportunity. Grishko helped to make all my costumes in a very short time, and they were great. When a few days before leaving I rehearsed with my costumes on, I finally felt ready to go to Switzerland! The Prix de Lausanne has been annually rewarding young talent since the early ‘70s and is one of the most important competitions in the ballet agenda. This year the jury was headed by Cynthia Harvey and consisted of, among others, several Lausanne winners: Bayerisches Staatsballett Principal Lisa-Maree Cullum (winner in 1988); former ABT Principal Ethan Stiefel (1989); former Principal with Stuttgart, Australian and Basel ballet companies, Sylviane Bayard (1973); and Chi Cao, Principal with Birmingham Royal Ballet, who played Li Cunxin in Mao’s Last Dancer (1994). During the Prix I didn’t really feel like it was a competition. The atmosphere was so supportive! Everyone was rooting for everyone, even though we barely knew each other. It was also nice to experience different styles at the Prix, even in ballet classes, which were French and Italian style. At first, I had trouble getting used to the ballet class because it was so fast and not at all what I am used to at the Bolshoi. The world of ballet is not so big, and competitions such as these start introducing dancers who will then be colleagues during their careers, meeting up over the years at galas or on tour. Julie Kent and Darcey Bussell first met at Lausanne when they were both sixteen. I made great friends with Lorenz Seyvert, from Norway, another competitor. We helped each other through the competition. Everything from getting up on time, which was hard because of the time change, to finding the best restaurants in Lausanne. I got to meet a lot of great dancers from all around the world! It was cool to see different styles of training. While at the Prix, it was really important to be able to work with the coaches they provided, for both my classical and contemporary. They gave me great last minute valuable advice! 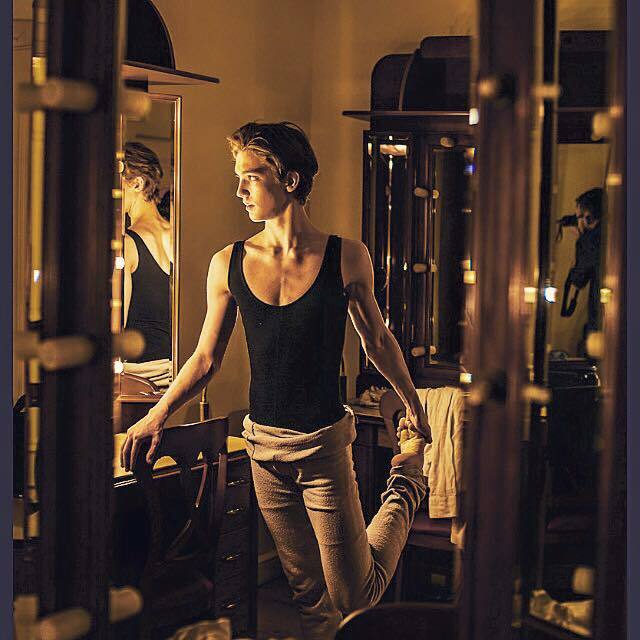 When Julian graduates from the Bolshoi Academy he will be the first American male to graduate from the Bolshoi Ballet Academy with a full Russian diploma, having attended both the lower and upper Academy. 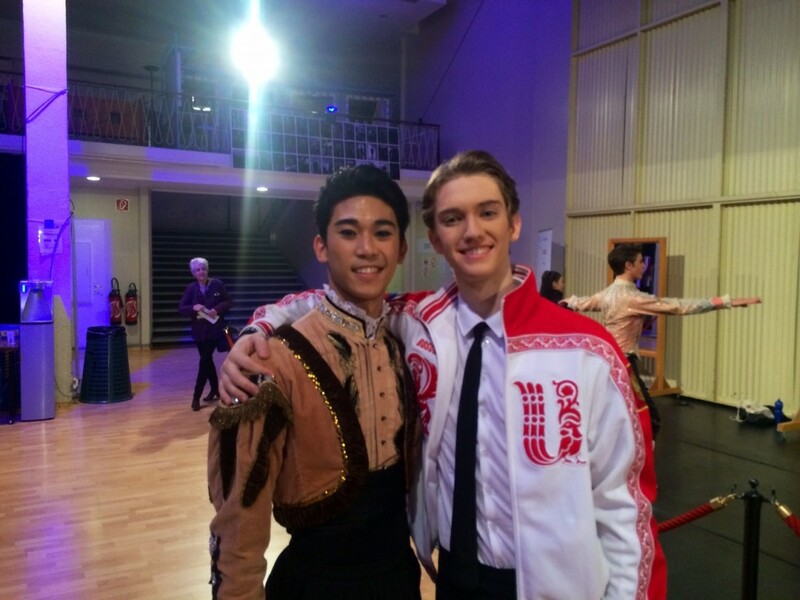 Julian’s younger brother Nicholas is also at the Bolshoi. Coming from the Bolshoi Ballet School, I am in a unique position to represent both the USA and Russia, especially important at this time of tension between our countries. During the competition I wore my Russian Olympics jacket, as I am proud to represent both Russia and the USA. So apart from making friends and experiencing different styles, what was it like to be a competitor in Lausanne? Competing at the Prix was an amazing experience. Something totally new and eye opening. It was energizing dancing on stage and knowing that it could be life changing! They film you constantly which adds to the pressure, but I think it gave people a great chance to see what goes into the competition, and not just the finished product. Now, afterwards, I am so grateful to have had it all documented. Julian stood up well under pressure, buoyed up by his Bolshoi technique, and became one of the 2015 winners. His Scholarship, financed by Harlequin Floors, will allow him to be an apprentice at one of the competition’s partner companies – including the ABT Studio Company, Béjart Ballet and the English National Ballet – and he is free to choose where he would like to go. It was such a shock to be a Prix de Lausanne Prize Winner. It took me a while to realize what had happened and what I had achieved. The next step is to choose which company I would like to apprentice with for next year. Julian is fortunate to have a very loving family who support him, including his two dancing sisters Maria Sascha and Nadia Khan, but it is his mother, Teresa, who finds herself far from Montana juggling two teenage boys in Moscow. Above all, I am grateful to my family and my sponsors, Loren and Jill Bough of Big Sky, Montana. These opportunities wouldn’t be available to me without them. So apart from a scholarship, what is he taking away from Lausanne? One of the most memorable things at the Prix was making great friends that I know I will be working with and seeing for the rest of my career. I went to the Prix with an open mind and left filled with many possibilities for my future. When reading these stories it makes you want to have a crystal ball to peek a few years into the future and see where he ends up. Looks as though he’s setting out on the right path. Go Julian!